The Herland Forest is beautiful in May. It’s situated on the divide between the wetland forests of the western Cascades and the dryland forest that stretches away to the east. 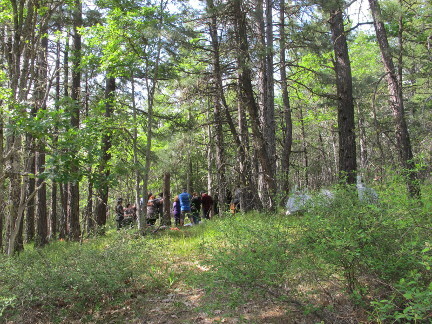 One result is that a steadily changing progression of wildflowers native to both ecologies decorates the forest during the spring months. 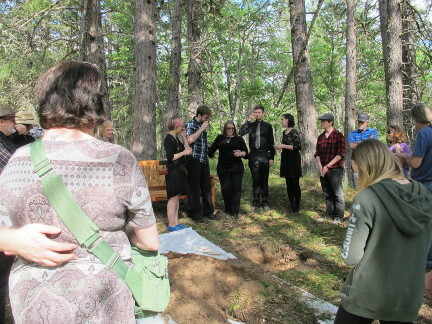 On one especially beautiful afternoon in May, the family and friends of “Tuck” Hatfield gathered in the Herland Forest to celebrate his life and their good fortune in having known him. Some two dozen people joined his loving wife Lisa to sip Tuck’s favorite wine, to sing his favorite songs, and tell stories of how he touched their lives. It was a gently paced gathering as people took their time to reminisce about Tuck and how his kind and steady ways enhanced their lives. It was clear that they would miss his presence, but it was also clear that his example as husband, father and friend would remain with them. 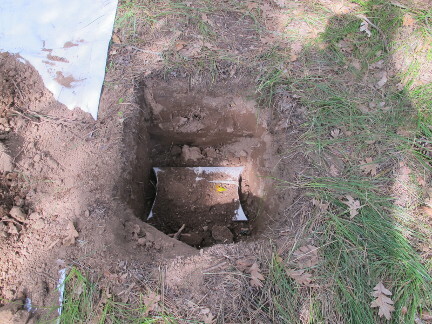 Eventually, the stories had been told, the wine shared and the cremains were intered in the center of a ring of Ponderosa pines. 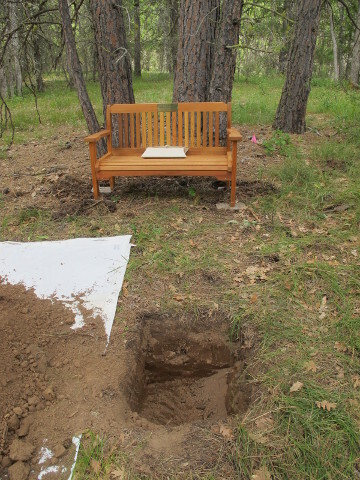 A memorial bench was placed near the grave so that people could sit and rest in the peaceful glenn, and listen to the wind in the trees. Friends hugged and kissed, and left the forest to return to their lives in the world at large. It was a lovely way to spend an afternoon in close companionship and fond memories.